In order to get a full screen app-like experience with L-Lingo we recommend you add it to your home screen. 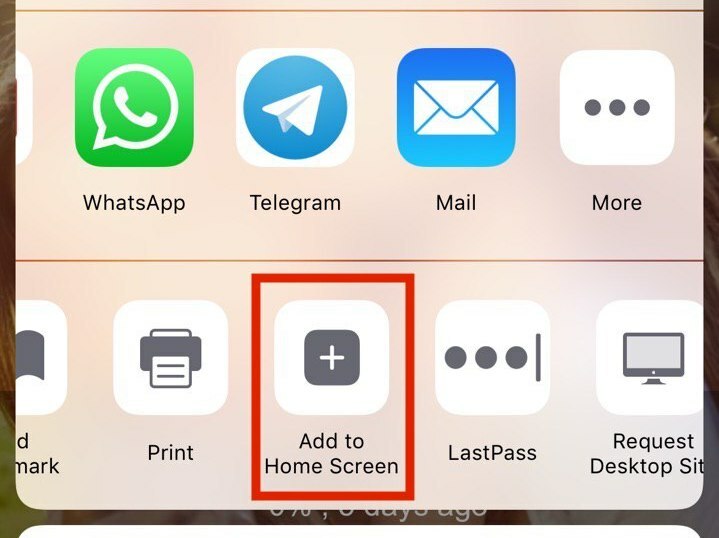 This way you can launch it directly -like a normal app- and it will utilize your screen space much better. Please make sure you open the L-Lingo app from Safari browser directly and not some other embedded browser from e.g. your email or chat app. You might need to login one more time after you have added it to home screen but then it will remember you. 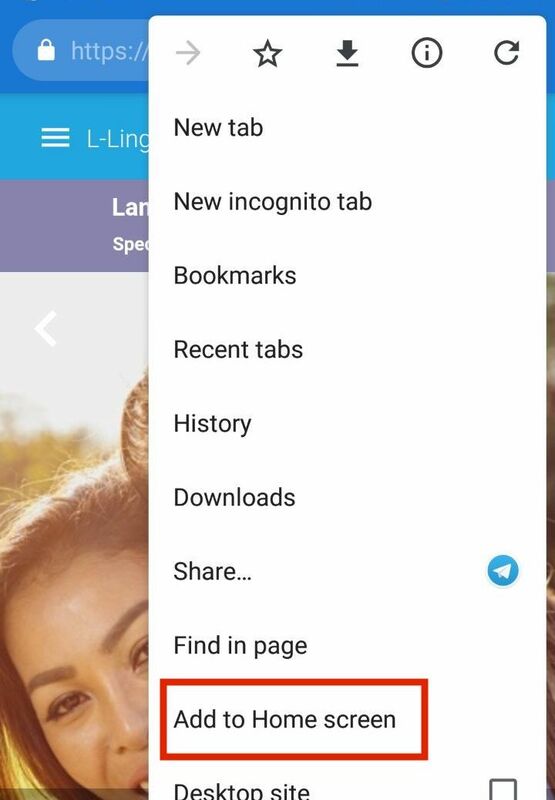 Please make sure you open the L-Lingo app from Chrome browser directly and not some other embedded browser from e.g. your email or chat app. 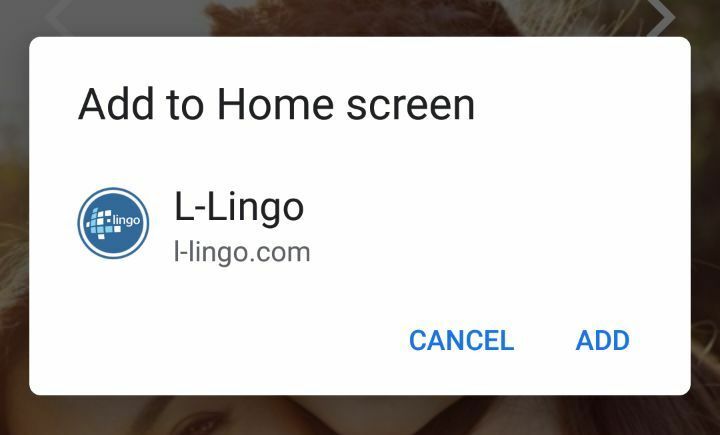 Then you will probably see an “Add L-Lingo to Home screen” banner. Click this. If you have any questions, then please contact our support.